Raise a glass and toast Secret Wars, still one of the best, 30 years later. Marvels 12-part miniseries Secret Wars debuted 30 years ago, forever changing the comic book industry by ushering in the era of event comics. Written by former Marvel editor-in-chief Jim Shooter, with artwork from Mike Zeck and Bob Layton, Secret Wars starred nearly every major superhero and villain the Marvel Universe. These iconic characters are teleported to the fictional planet Battleworld by the cosmic entity known as the Beyonder who gives them simple instructions: slay your enemies and all that you desire shall be yours! While the series is essentially one massive, 12-issue fight between good and evil (and the X-Men, who form their own sub-group), Secret Wars is considered a landmark achievement which warrants its celebration 30 years later. A number of new characters are introduced or repackaged in the series, such as the second Spider-Woman Julia Carpenter, the villainess Volcana, and the alien symbiote that becomes Spider-Mans black costume and later the supervillain Venom. Plus the comic functioned as a model for future crossover events by both Marvel and DC. Those who grew up in the 1980s and are still reading comics today likely credit Secret Wars for the foundation of their fandom. The story is fun, the action is non-stop and the artwork is stellar  the perfect combination to hook new readers into the wild, sometimes wacky world of comics. 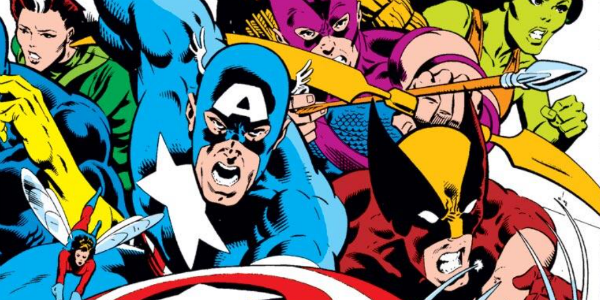 So raise a glass and toast Secret Wars while this list looks back on all the reasons this series is still one of the best, 30 years later.